Incredibly convenient. Incredibly well-staffed. Just. Incredible. When you want to know that you’ve chosen a dealership that has the resources and the options to put you on the road to a successful and enjoyable car shopping experience – choose Lougheed Hyundai – each and every time. We’re proud to provide drivers with impressive selections of new and pre-owned Hyundai models to test drive and then drive home – trust the transparency and the quality of care that makes our store the best used car dealership for drivers in New Westminster, Vancouver, and the surrounding area! We’re here to make sure you have a great time when you come to us for any of your automotive needs! We’re conveniently located on the Lougheed highway, just a short drive from New Westminster’s downtown core. This ensures that you have to spend less time searching for us and more time enjoying the road with the vehicle that has all the features that you might need or be looking for – with our experts you’re going to narrow down the options on our lot and find the best car for you – at your dealership home – Lougheed Hyundai! You know what you’re entitled to when it comes to a car dealership experience in the New Westminster area. You deserve to be treated with respect and appreciation. You deserve to know that you have the resources ready and awaiting your arrival. Most of all – you deserve to know that you’re going to have opportunities based on honest and reliable experts that have a singular goal to get you the right vehicle. That’s what makes Lougheed Hyundai the best dealership of its kind – we really do everything we can to make your experience a memorable one. Let’s show you why we are the premier used car dealer in the New Westminster area! 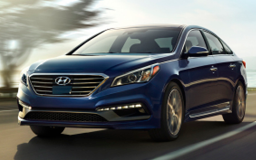 The reason people who have driven Hyundai vehicles in the past continue to come back to the brand is simple: their value and their commitment to comfort, efficiency, and style. 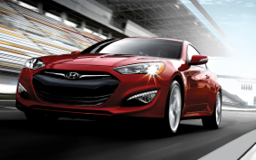 Whether you choose the Accent or Accent Sedan, or the Elantra and Elantra GT – there’s a car for everyone across the Hyundai branch of vehicles. How about choosing the Veloster option? Or step into the Sonata. Which is available in standard, Hybrid, and Plug-in Hybrid models, well, you can see that there’s a lot to consider in the Hyundai lineup alone! 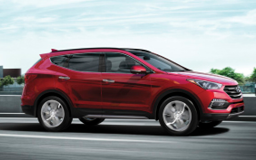 Add to that the luxury Genesis and Genesis Coupe – the crossover Tucson, Santa Fe Sport or XL, and Tucson FCEV models. You’re going to find the best possible model here at Lougheed Hyundai! You’re going to love what’s awaiting you at Lougheed Hyundai. We have it all – from the most-recent models of the Hyundai lineup – to pre-owned models that aim to make your time on the road every bit as fun and enjoyable as it can be. Not sure where to start? 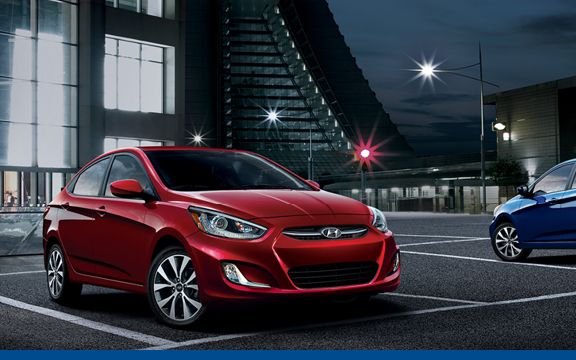 How about the Hyundai Accent With all the features that make the brand the superior one, you’re going to love getting from where you are to where you’re going thanks to the amazing 1.6-L GDI DOHC engine. If that’s not quite what you’re after, not to worry – there’s a lot to consider when you work with Hyundai vehicles. Take the Veloster Turbo option or instance. Equipped with the impressive 1.6-L TGDI engine for 201 horsepower – Life’s going to get more interesting when you drive a Hyundai! Few vehicles offer the type of class and sophistication that makes the Hyundai brand so reliable and fun to own. Take the Sonata. With standard 2.4-L DOHC engine with D-CVVT, this vehicle is not shy for those who want to get out an adventure. If you want more – you’ll note that the Sonata can be optioned with the exceptional 2.0-L Nu GDI engine with a 38 kW electric motor and 6-speed automatic transmission for impressive efficiency wherever you go. Of course, you can go one step more and check out amazing Plug-in Hybrid models, too! Prestigious features meet exceptional mechanical development on all the Hyundai models – no wonder they’ve decided to branch out and add the new Genesis marquee to their lineup. Come down to Lougheed Hyundai and test drive one of our Genesis models. Impressive in every way possible – you’ll definitely have adventures ahead with the 3.8-L GDI V6 engine that encourages you forward with an incredible 348 horsepower. Or check out the Coupe model – which can step up the game to 5.0-L V8 with 420 horsepower. Amazing features. Amazing options. All Hyundai. The crossover segment has never had a brand that has been more commitment to offering incredible options for modern drivers. So, whether you want to test drive the amazing Tucson or you have your sights set on the Santa Fe Sport or Santa Fe XL – there’s more reason to test drive the options. Let’s get you into the driver’s seat today at Lougheed Hyundai! We believe in transparency and offering options that create a foundation of trust you can believe in – whether you found your next favourite vehicle – a service that put you back on the road faster and better than you could have hoped – or a discussion that led you to a choice you were happy to make – the team at Lougheed Hyundai is here to make your experience the best it can be. Let’s show you why we are the easy choice to be your used car dealership in the New Westminster area!